Tiklu had been standing under the tree for a long time, looking wistfully at the kite, entangled in the branches of the spreading tree but he knew that there was no way to retrieve it as he was under the glare of a number of monkeys. They had been making strange sounds, probably warning each other of an imminent battle against the intruder. He had been on the prowl on the terrace for a long time on an idle afternoon to steal a little of the pickles from the jar of the grandmother but the old woman had her eyes in the right place while reading the Gita. She did not intend to budge an inch from the terrace, giving him an opportunity to succeed in his mission. When his sense of frustration was mounting, something very strange happened. A kite landed on the terrace like a precious gift to him. He picked up the kite which had patches of red and yellow. He was astonished to see on the back of the kite a signature reading Rohit with the message ‘possess it to lose it again.’ He could not understand the meaning of the message and it seemed enigmatic to him. 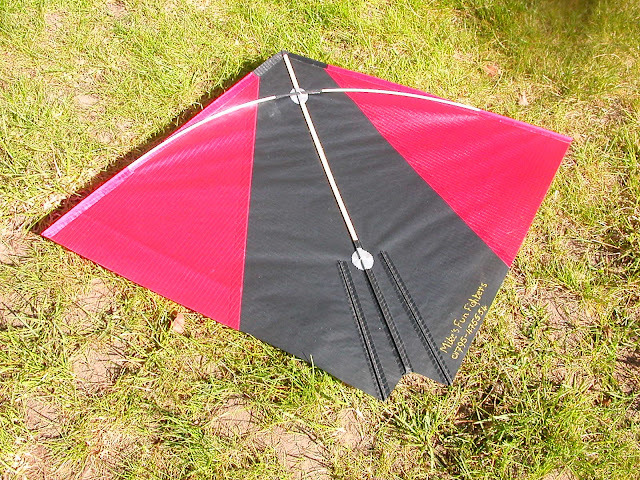 He studied the kite very well and took it in his custody when the grandmother was nearly dozing. Suddenly he did not have the mind to take anything from the treasure of the old woman who had made them over a number of days. He now had elaborate plans to claim his share of the sky. He looked up at the sky and saw an eagle enjoying a majestic flight. He chuckled to himself saying that soon he would send his kite to free the sky from the dominance of such creatures. But now as he stood under the tree, he had no choice but to give up the thought of having further sway on the sky. He saw the kite being torn to shreds by one of the simian creatures. Tiklu learnt many things from his uncle who did not marry and came to the conclusion that it was difficult to keep anything you loved in your possession for too long. The message on the back of the kite was considered prophetic by him and he did not forget it for the rest of his life. It was his uncle, Radhakanta, who brought him up after his parents had died in an accident when he was a little boy. Every time he asked his uncle about his parents, he noticed his eyes moisten. He took his time to answer his question but when he spoke, he did not lack the strength of his conviction that nothing or nobody could exist in the world for too long. Though everybody would have to be lost at some time or the other, his parents had left a bit too early. He said jokingly that they had left the gift of a son to him. Then he would draw him closer and caress him. He loved to hear his uncle speak in a calm but convincing voice and for a while he could not remember the words on the side of the kite. As he grew up and was in the college, he had come under the influence of a girl only to lose her too fast. Again he remembered the words he had read on the other side of the kite. The head of the department of the college came to learn of his weakness for a girl. He was surprised not because he did not expect his favourite student to fall in love with a girl and that too on the campus of a college but because he had allowed himself to be in the mops because he had failed in the mission of love. The professor called him to his house and told him that every stop in life was to gain the impetus to begin another journey in life. The words of the professor had an effect on him and he accepted the turn of events with stoic indifference. He focused on his studies only to prove himself to be the brightest boy on the campus. As the professors and the students showered their plaudits on him, he found the girl alone in the crowd, probably feeling jealous of the worth of the man she had jilted. Since then there was no looking back. He went abroad for higher studies and returned home as the brightest strategist of the planning commission of the country. But he was seized with a sense of restlessness and wanted to prove his worth on a larger scale. He was haunted by the fact that he would have to shrink into something minuscule very soon. Even as he worked with passion and adroitness, he began to explore avenues for self-development. He found his true calling when an investor came forward to pump money into some of his projects after he left his job of a bureaucratic nature. The industry circles acclaimed him as a rare talent when he bought the rights of an airliner to trace the kite that he visualized flying in the sky before him with the mysterious signature and the message that he should possess it to lose it again. Those were the days of his absolute sway as a pragmatic tycoon, blazing a trail. In an attempt to act fast as he was haunted by the words on the back of the kite, he wanted to maximize influence and made heavy inroads in the media and secretly fielded men in the realm of politics. In the process of his meteoric rise he made many enemies who bayed for his blood. They began to plot to denude him of the support he enjoyed by taking advantage of some of his fallacies. He was driven into a corner when the men he had groomed to maximize his influence in the media and politics, switched loyalties and began to spill the beans. ‘You are sure you will be able to make it again?’, wondered his mistress when he lost his pet airlines to another man who had already proved himself to be ravenous for enterprises including his eagles. He wanted to get it back but the words on the back of the kite haunted him. Once at the end of the day when he returned to his home, he visited his uncle and told him about the shift in the nature of his career according to the rule of grammar he had read on the back of the kite. The decrepit and bedridden uncle smiled a faint smile. He still loved to ask him to move closer to him and told him in a whisper that he would not now have to prepare himself to be ready to accept the departure of the ailing man. That night Tiklu drove to their old house now under the supervision of a strong, swarthy middle aged man from Bihar. He spent a couple of hours on the terrace of the house, cherishing the memory of the kite that had landed. He sat there quietly absorbing the essence of the philosophy inscribed on the back of the kite. He looked up at the starry sky and mused on the imaginary fall of the kite from its infinite expanse. Looking up at the stars like he did on the languid summer nights of his boyhood, he felt good. He could feel his self merging with the depth of the sky. Radhakanta was feeling groggy and needed the support of two strong men when he arrived at the police station to recognize the corpse. He did. He stared down at the face of the calm figure looking still as he always did look. He knew that despite the calm look on his face, he had a sort of determination which could change the world in a twinkling of an eye. He could feel the pain of the boy who was ever haunted by the pain of losing what he had had. Now the uncle was overcome with compassion for his nephew who was more than the son to him and felt too stolid to break down. He suspected if he was trying to explore a feeling of elation that he had finally been able to free himself from the life of limitations. He would have given him a compliment, saying that he had grown beyond his self. Yet his voice was choked as he could not approve of the fact that, as they told him, he had rammed his car into a tree when it was doing over ninety miles an hour.